New concept art includes huge Doctor Who finale spoilers! Steven Moffat's Doctor Who storyline is racing towards its shocking conclusion — but has new concept art already given away a crucial part of the puzzle? Lavishly illustrated spoilers below! 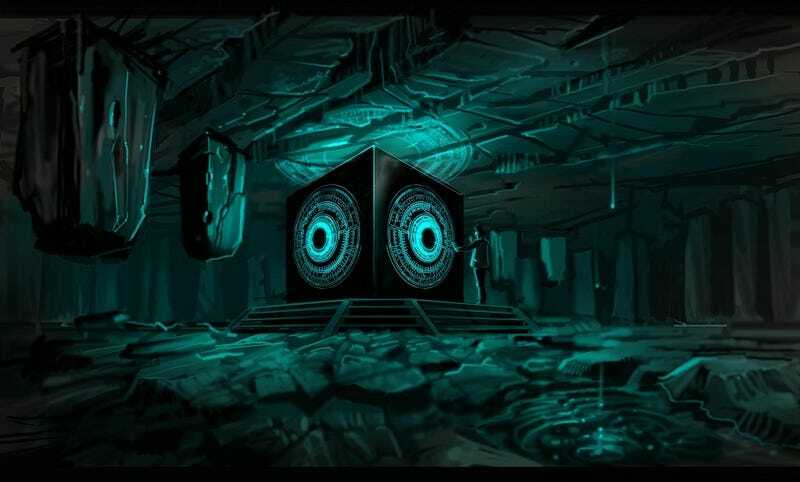 Fans found a couple of pieces of concept art on artist Peter McKinstry's website, involving the Pandorica, the mysterious box that gets opened in the final two-parter of Doctor Who's current season. What's inside the Pandorica? We've heard it referred to as a "prison-box of legend," and the Doctor tells River Song it's just a fairy tale — but she's already seen it at that point. Also, there's this intriguing description for the final episode, "The Big Bang": "The Doctor is gone, the TARDIS has been destroyed, and the universe is collapsing. The only hope for all reality is a little girl who still believes in stars."